Add some shimmer & shine to your business cards. 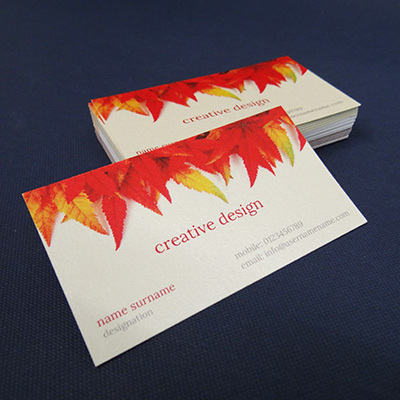 Business cards printed on Metallic coated Paper Media. - Starting at Rs. 625/- for 100 cards. New Business Cards printing on your mind? Opt for metallic business cards. They will add the perfect luster and gleam to your business cards. Make a lasting first impression every time you share metallic business cards. Your prospective could be anyone you meet on your vacation or at the networking event, make sure you amaze them with a handout of double sided business cards of finest print quality. Print metallic business cards with your company logo in the front and contact information on the back to share all about your business in one connect. Clients, prospective clients, at trade fairs, exhibitions, business cards are one such marketing tool that you can liberally give away, for the more people know about your business, the more likely they are to reach you when in need of the product or services provided by your company. The benefit of double sided business cards is that you don't have to crunch in all the information on one side and at the same time you can be open hearted about all that you want to convey - your company logo, tag line, name, designation, phone no, email, social media links, everything! Customize the look of your business card online with paper media that matches your preferences for your double sided business cards. From 350gsm gloss art card to matte art card to even 270 gsm natural cards and kentex ivory cards, select an option that suits your pricing and design. 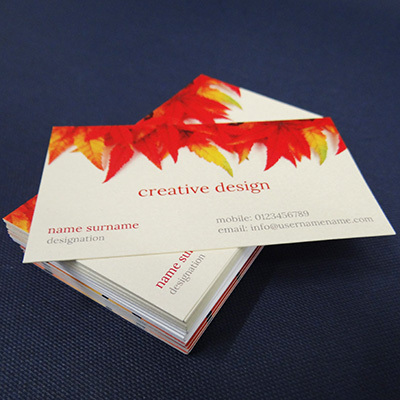 Not just paper media type, you can also customize the size of your metallic business card. From 89.9mm x 50.8mm (3.5 inch x 2 inch) to 85mm x 55mm to 92mm x 54mm basis your design. Whether you prefer gloss or matte lamination, add it to your business card before you begin to checkout and send your business cards for printing. If you have a business card design ready to print, simply upload it, confirm payment, add your delivery address and your metallic business cards are ready to go for printing. 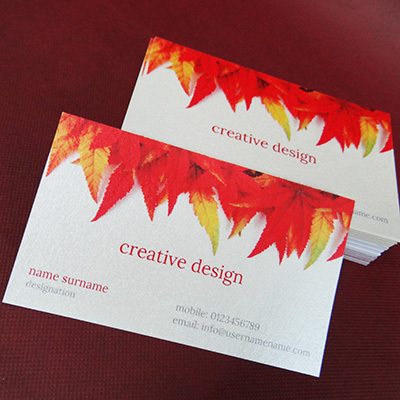 If you are yet to design double sided business cards, do not worry, we have got that covered for you as well! Choose from wide-ranging business card templates, design your business card and once you like a layout you have designed, simply add your details, make payment, confirm your delivery address and your business cards are ready to go for print. Our printing is rapid, of finest quality, and at unbelievable prices. Think no further, place the order for metallic double sided business cards right away!